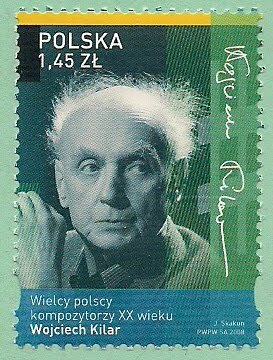 Wojciech Kilar(1932- ), Polish classical and film music composer, studied at State Higher School of Music in Katowice and Krakow, then studied with Boulanger in Paris. He chaired and co-chaired the Association of Polish Composers of both local and national boards, he received numerous awards. He composed orchestral music and film scores.